With interest rate low and the economy shaky, many investors see timberland as a safe place to put money. In fact, over the last four years we have seen a significant shift in the motivations of people buying Alabama land for sale. 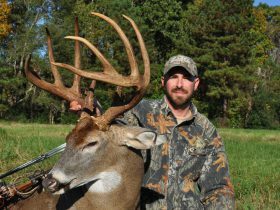 Before 2008 and going back to the 1980’s, the most common reason we saw for buying land was finding a good place to hunt. Four years later there has been a large increase in people buying land for it’s financial attributes. And in Alabama, the best way to make money with land is to buy land planted in loblolly pines. 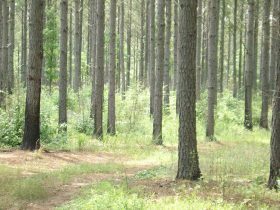 The investment life cycle of a loblolly pine forest is about 30 years. Two or three times along the way it’s important to control the spacing of the trees (the income is nice too). Knowing when to do this and which trees to take is why people go to forestry school. But, the reason is simple. Over the investment life cycle, pine trees pass through three distinct “price steps”. By “step”, we mean market value ($ / ton) of the wood. Each step is diameter dependent, and diameter growth is spacing dependent. In relative terms, there is the $5/ton step (small trees for pulpwood), the $15/ton step (middle-sized trees for small lumber) and the $25/ton step (large trees for large lumber). The faster your trees “march” through these steps, the more money you’ll make. Too many trees for too long, and they’ll linger in the $5 step or the $15 step, sometimes for 10 extra years. Properly thinned, each tree can maximize diameter growth and has the potential to reach the last step where they can be worth 5 times more (per ton) than the first “step” where they all start. The faster they get there, the greater your financial reward.